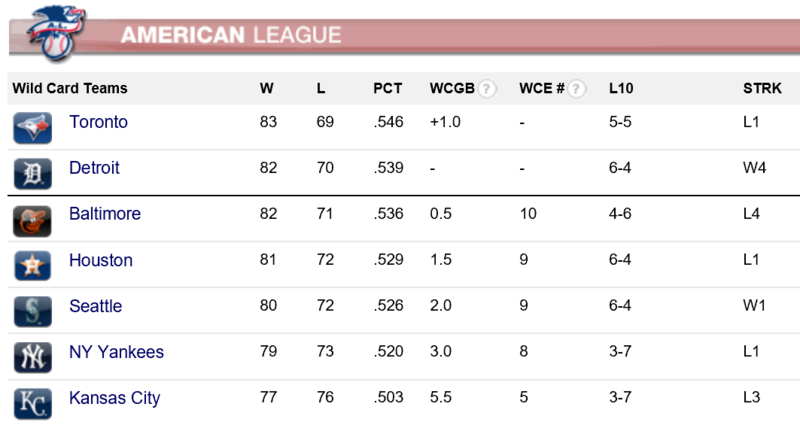 With ten games or less remaining to earn post-season hope, dogfights continue in the MLB Wild Card races. The issue is starting be how much fight is left in the dogs. Last night, though, bucking the trend, New York’s Metropolitans were doing the punching. The Mets fielded 27 players in this one, a team record. Any more extra innings, and they might’ve been forced to call up Tim Tebow for miracle work, if nothing else. With Jakob de Grom – hey, Dutch name, Dutch grammar; deal with it – on a well-stocked shelf, the Mets’ rotation is running on fumes. Their bullpen situation isn’t much better. Those dudes are running on empty, as the mounting number of late-game blown leads will attest. Games against contenders is as close as those also-rans are gonna get to a pennant race, and the excitement sorta wears off on them. Meanwhile, the Mets, Giants, and Cardinals are doing their best just to not wear out.